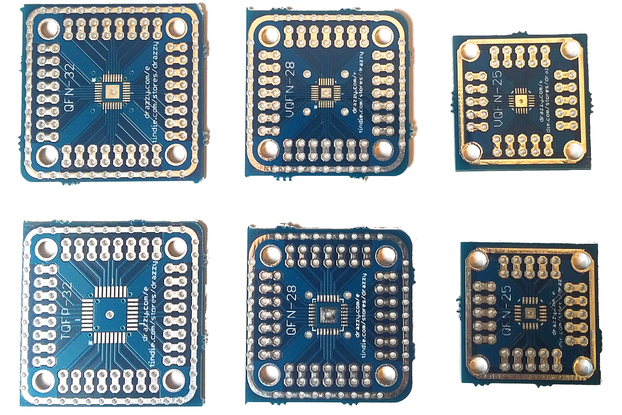 Breakout boards for SMD parts in DFN, MSOP, WSON (0.5mm and 0.65mm pitch) packages with up to 16 pins and VQFN-16 packages. 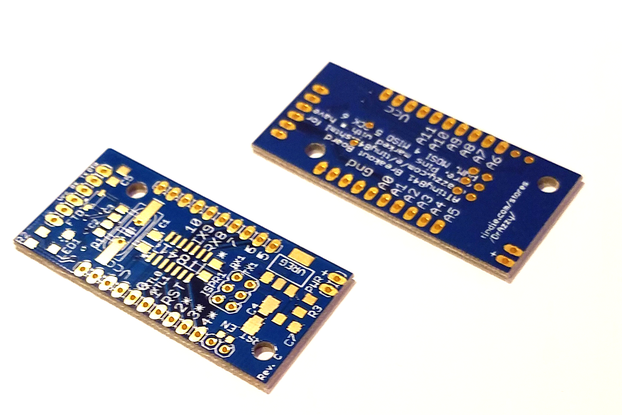 These are premium quality breakout boards for some of the common fine pitch SMD packages. 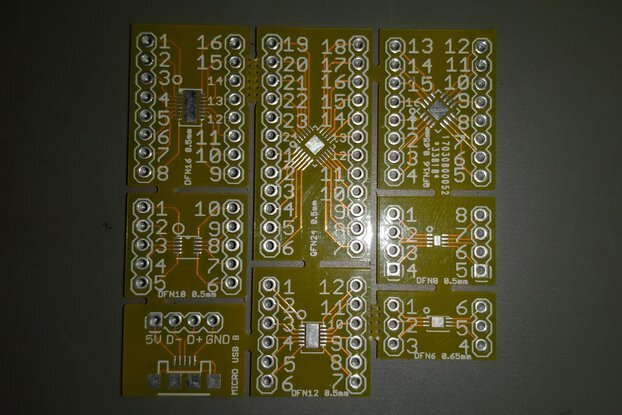 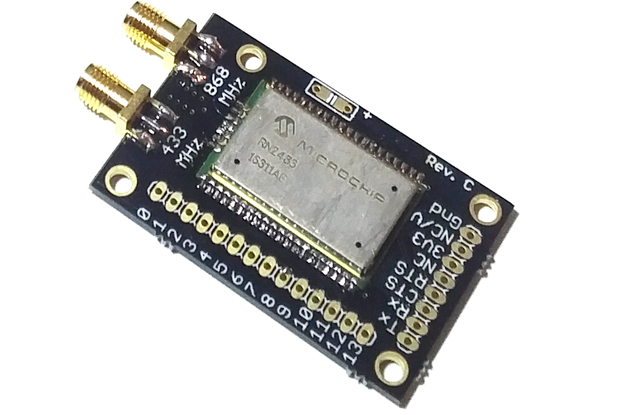 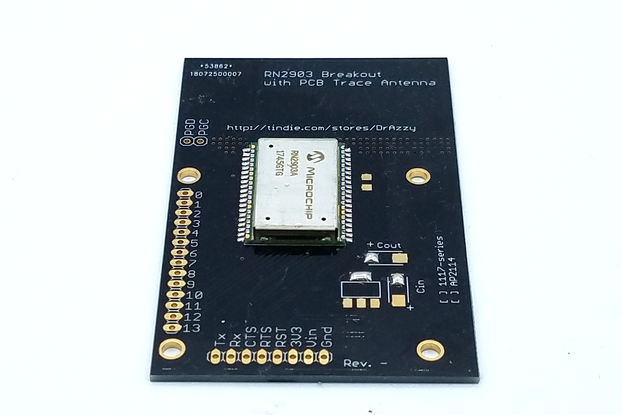 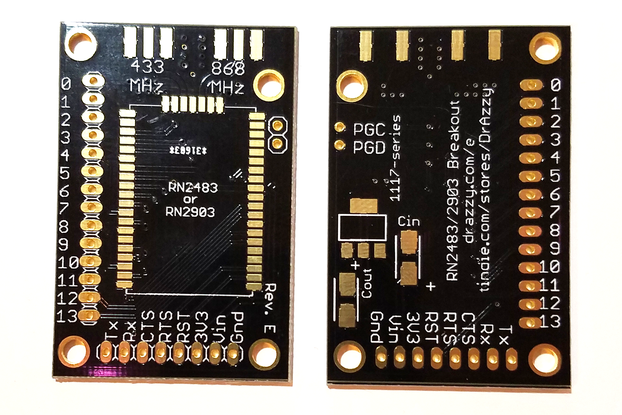 We've received a number of inquiries about offering a breakout board for some of these packages - DFN, MSOP, and WSON. 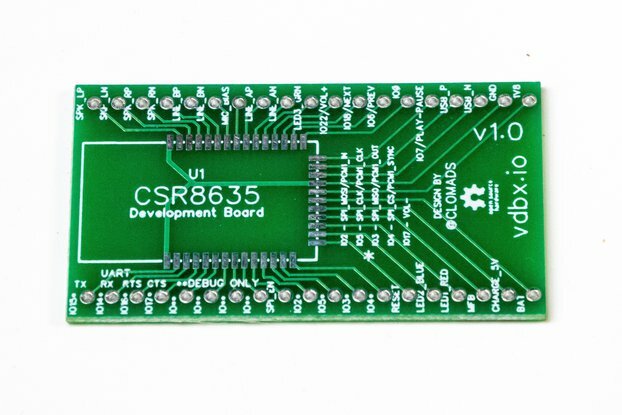 In some cases, manufacturers use other names to refer to similar packages, or may or may not include an exposed pad in the middle. 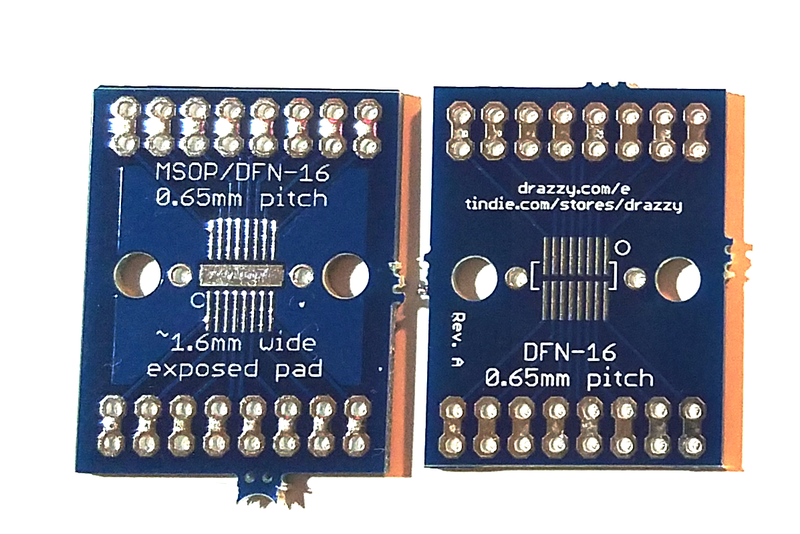 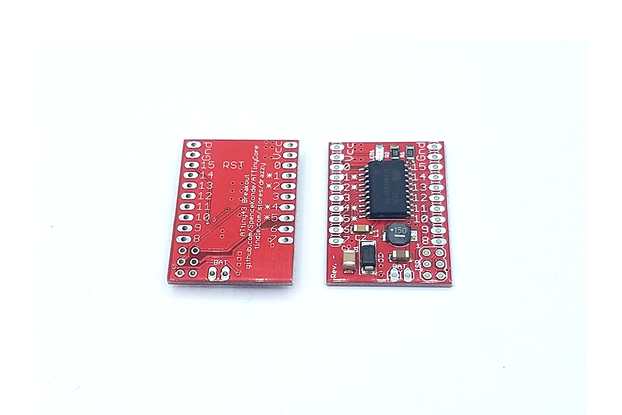 Two of the most common pitches for DFN/MSOP and similar packages are 0.5mm and 0.65mm - these boards support 0.65mm with no exposed pad, and with a 1.6mm wide exposed pad in the middle, and 0.5mm with no exposed pad, with a 0.9mm wide one, and with a 1.5mm wide one. 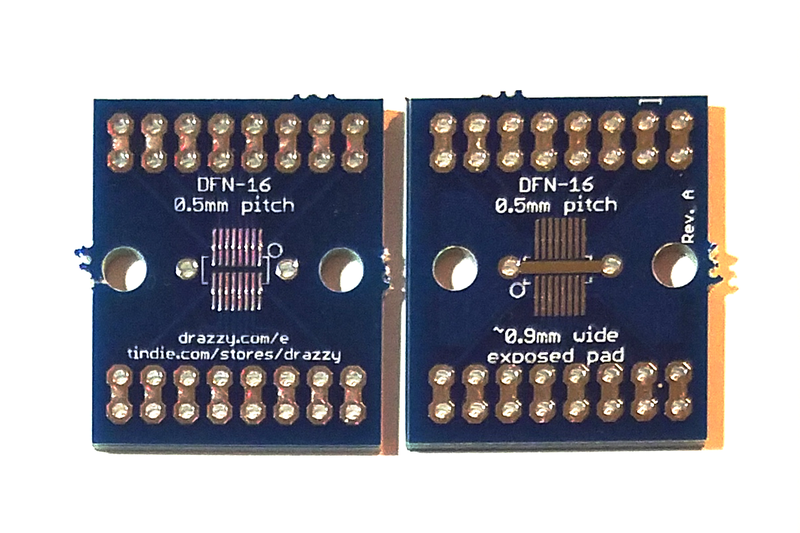 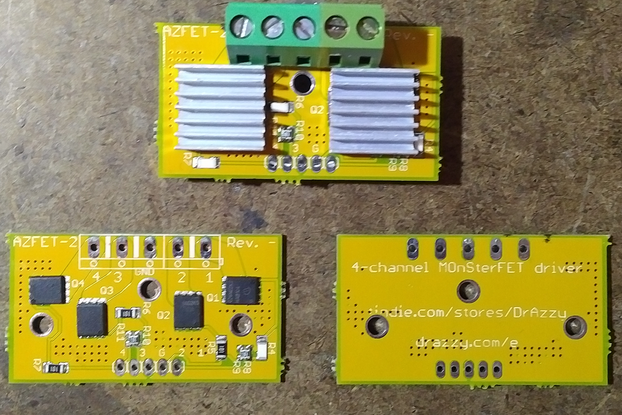 These breakout boards connect each pin of a DFN/MSOP/similar package to two holes (for convenience when a pin must have multiple connections. 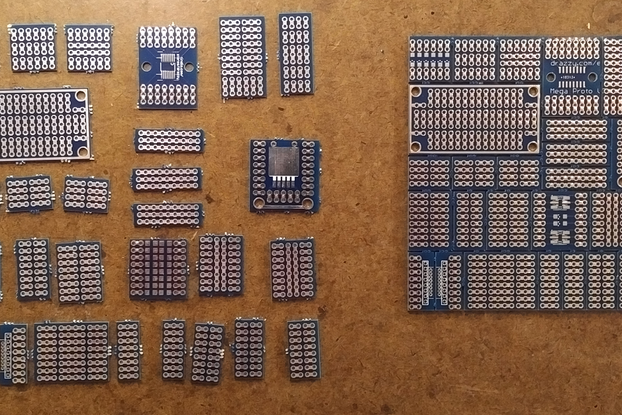 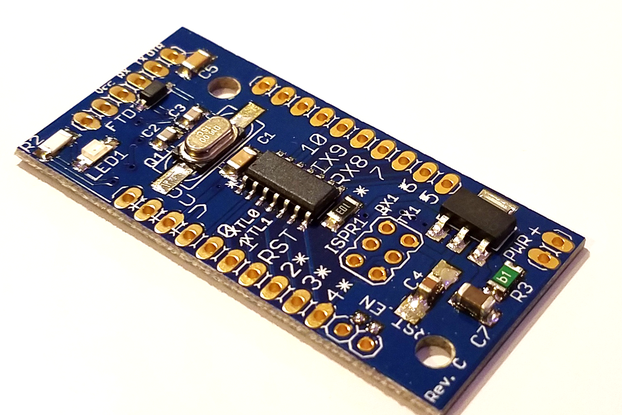 All of these boards have two mounting holes sized appropriately for a #4 or 3mm screw, and support two package footprints, one on each side of the board. 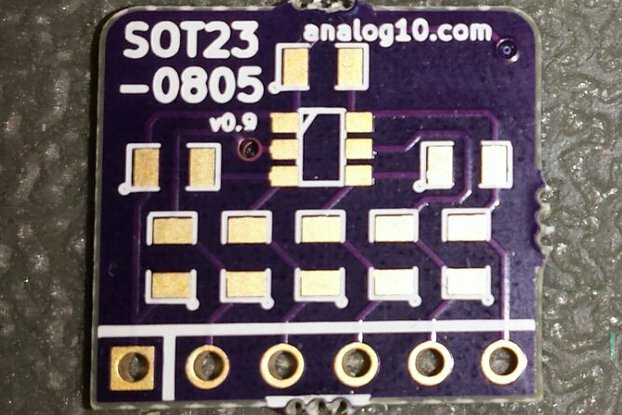 Where there is an exposed pad, it extends beyond the edges of the chip, allowing it to be hand soldered. 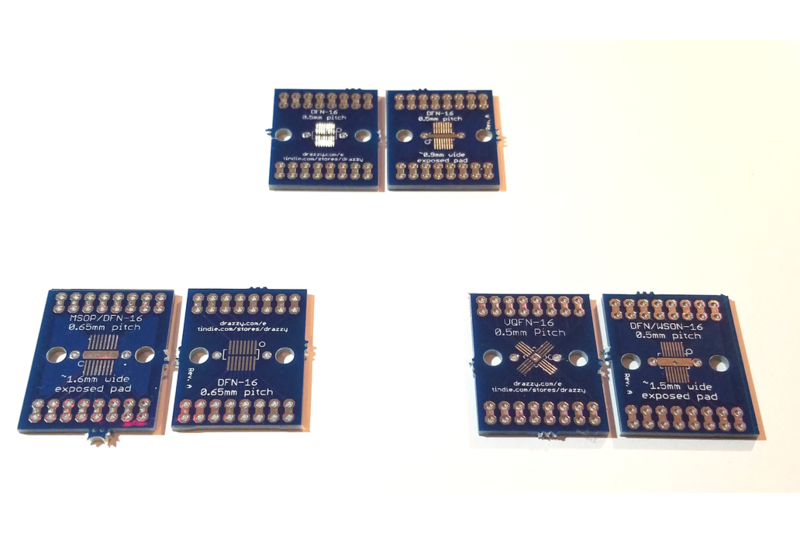 Sold in lots of three.